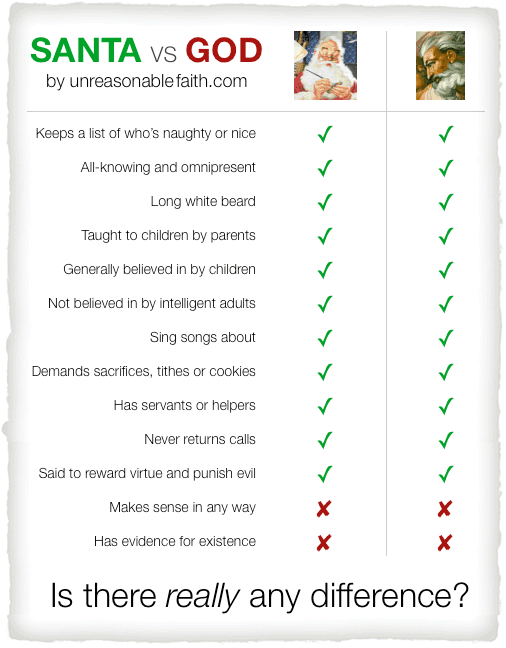 The idea that children - or anyone else for that matter - are supposed to find gods real and Santa false is preposterous. There is every bit as much evidence to support the most incredible version of the Santa myth (flying to every home in one night, etc.) as there is the gods that have been worshiped through the ages. Let's stop pretending.